The 2018 Sumo Run Ireland – Ireland’s most unique 5 k fun run in inflatable sumo suits on a 5km route in Marlay Park Dublin, Ireland in aid of Purple House Cancer Support. The event takes place on Sunday 22nd April at 12 noon. We are delighted to launch our 2017 Christmas Card selection. This year’s cards are by a range of local photographers including Tony Brierton, Aidan Flynn & Oisin Mcfarland Smith. We are also delighted to announce that two of the images are by Aoife McNulty who has shared her own Cancer experience with us below. Can you help us by signing our petition and sharing it with your family & friends? Despite unprecedented demand on our daily services we receive only 20% of our day to day funding from the HSE. We rely almost entirely on donations and fund raising events to survive. We are calling on the HSE and the Minister for Health Simon Harris to provide sustainable funding to enable us to keep up with the demand on our Services. There are 150,000 Cancer survivors in Ireland. 1 in 4 Cancer survivors have physical/psychological consequences following treatment. By 2020 1 in 20 people will be a Cancer survivor. In 2016 more than 1,200 People visited Purple House Cancer Support Centre in Bray and Outreach Support service in Dun Laoghaire for vital Cancer Support Services. Friends In Low Places – The Ultimate Garth Brooks Experience has been performing in venues across Ireland, the UK and Europe and has been receiving an overwhelming reaction. This is your chance to see them live in the Parkview Hotel Newtownmountkennedy on Friday 6th October for a very special performance in aid of Purple House Cancer Support Centre. Our 18th Annual Lugnaquilla Challenge takes place on Sunday 3rd September. Join us and experienced leaders as we climb Leinster’s highest mountain and help us to support families affected by Cancer in Ireland. Our 2nd annual cycle challenge in France is taking place from the 7-12th October 2017 and we want YOU to join us and help us to make a difference to the lives of families affected by Cancer. Thank You to our Mini Marathon Heroes! We want to say a massive Thank You to all of the amazing ladies who took part in the VHI Women’s Mini Marathon for Purple House Cancer Support! Your efforts ensure that our Cancer Support Centre can open daily and provide vital services such as Counselling and workshops for families and children affected by Cancer. VHI Women’s Mini Marathon – Sign Up Today! 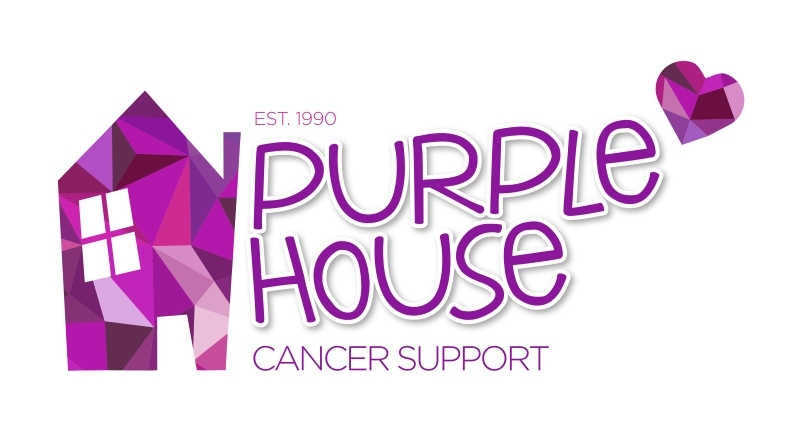 Join Team Purple House in the VHI Women’s Mini Marathon on bank holiday Monday 5th June 2017 and help us make a difference to the lives of people & families affected by Cancer.